ATLANTA (Dec. 9, 2015) – Local resident and entrepreneur Brian Davis has been named franchise owner of the new Chick-fil-A restaurant in Clackamas, Ore. With the restaurant slated to open for business in spring 2016, Davis will oversee day-to-day activities of the business, employing more than 80 full- and part-time team members, cultivating relationships with Clackamas schools, organizations and neighboring businesses, and serving local guests. Davis, an Atlanta native who previously owned a Chick-fil-A franchise 16 miles from the company’s first restaurant, recently relocated to Portland with his wife, Bethany, and two daughters to open the franchise. He is a long-time Chick-fil-A team member, beginning his career with Chick-fil-A after graduating from Shorter College, hand- breading chicken in the kitchen. He quickly rose through the ranks to become a restaurant manager before entering Chick-fil-A’s Interim Manager program. In the program, he managed restaurants in Utah, Alabama and North Carolina over the course of 11 months. 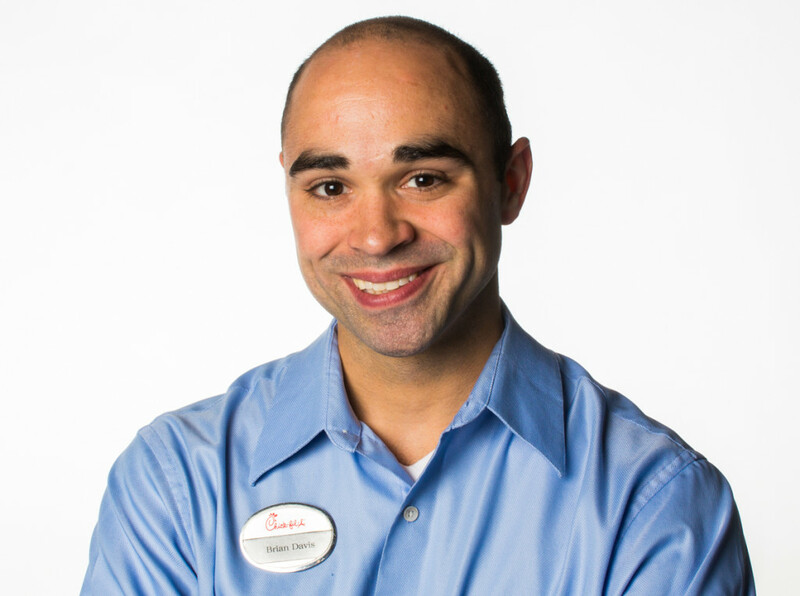 He was selected to be a Chick-fil-A franchise owner in July 2012 and has operated a restaurant in Atlanta’s Buckhead neighborhood for the past three years. Davis is known throughout the company for his commitment to developing young people, having started a leadership development program for select team members known as The Jumpstart Experience. The two-year program gives young employees hands-on experiential learning in the restaurant setting and teaches leadership development outside of the restaurant. Several of his leaders from the program will relocate from Atlanta to open the Clackamas restaurant. Chick-fil-A held a site dedication ceremony at the future restaurant site in Clackamas on Sept. 29 and was welcomed by more than 30 community leaders, vendors and partners, including Junior Achievement of Oregon and other local philanthropies. The restaurant, formally named Chick-fil-A at Clackamas Promenade, will be located at 12520 SE 93rd Avenue and is one of two locally-owned Chick-fil-A restaurants opening in Oregon this spring. The restaurant will be built to LEED® specifications with water and energy efficiency features, air quality control and waste diversion efforts, among other initiatives. Chick-fil-A, which this year was ranked the No. 1 quick-service restaurant for customer service by the American Customer Satisfaction Index, is known for its menu of fresh, hand-crafted food and offers a variety of options for guests of all ages. Signature menu items include a fresh, hand-breaded, boneless chicken breast sandwich, Waffle Potato Fries and hand-spun milkshakes. The restaurant uses only premium ingredients and makes many of its menu items from scratch in the restaurant each day, including hand-chopped salads and fruit. Chick-fil-A at Clackamas Promenade will partner with regional farmers and suppliers to source as many locally- and regionally-grown ingredients as possible. In fact, the restaurant will source all of its bread from Portland- based Franz Bakery, which also supplies bread to Chick-fil-A restaurants in Washington. Chick-fil-A sources all potatoes used to make hash browns and Waffle Potato Fries from the Columbia River Basin – buying more than 438 million pounds of potatoes last year alone. Additionally, all of the apples used to supply Chick-fil-A's West Region restaurants are grown in the Pacific Northwest, with more than 2.25 million pounds of apples sourced from the region each year. Chick-fil-A is also collaborating with national and regional poultry suppliers to ensure it serves chicken raised without antibiotics in all its restaurants nationwide by 2019. The Clackamas Chick-fil-A is one of more than 90 new restaurants the chain plans to open across the country in 2016, creating more than 8,000 new jobs. Last year, Chick-fil-A reported an increase in the number of new restaurants initially planned for the year and record-setting annual sales of more than $6 billion, the 47th consecutive year of sales growth since the company began in 1967. Chick-fil-A system sales reached nearly $6 billion in 2014, which marks 47 consecutive years of sales growth. Chick-fil-A ranked first for customer satisfaction in the Limited Service Restaurants industry according to the 2015 American Customer Satisfaction Index and received the highest ACSI score ever in the industry. The company was also recognized in 2015 as America’s “Top Chicken Restaurant Brand” by The Harris Poll and the only restaurant brand named to the Top 10 “Best Companies to Work For” by 24/7 Wall Street. More information on Chick- fil-A is available on the chain’s website located at www.chick-fil-a.com.